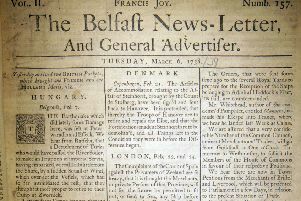 From the Belfast News Letter of March 9 1738. This is in fact equivalent to March 20 1739 in the modern calendar, because there was an 11-day time lag between the two calendars, and because the new year then did not begin until late March. That meant that December, January, February and early March were all considered part of the same year. Extract of a Letter from York, dated Feb. 24. He has been examined this Morning before two or three or more Justices, and confronted by his Countrymen, who, they said, knows him very well, and affirms that he is Turpin; and he has been seen by abundance of Gentlemen, as well as by many of the inferior Sort, this Afternoon, and several Persons were present at his Examination, who are all of Opinion that he is the Man. There is a strong Report in Town, that last Week one of the Name of Young, who has for some Time past resided in the County of Fife, being on his Death-bed, sent for the Minister of the Parish, and, with a bitter Remorse, acknowledged he was the unhappy Murderer of Provost Lindsay’s Apprentice, when that Gentleman was Dean of Guild. That horrid Piece of Barbarity was committed about 10 Years ago, in the Dusk of the Evening, as the young Gentleman was going to close in the Shop, and the Dean of Guild’s Box carried off. 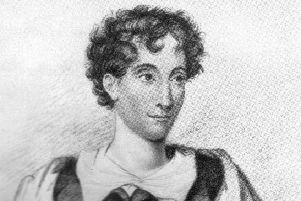 On Wednesday Night last was interr’d in the Church Yard, in a private genteel Manner, the Corpse of Mrs. Dobbs, a Widow Gentlewoman, who died the Tuesday before; by whose Death 60l. per Annum devolves to Arthur Dobbs, of Castle-Dobbs, Esq. At the same Time was interr’d in like, Manner, the Corpse of Mr. Samuel Haliday. THE new Slate HOUSE, in North-street of Belfast, wherein Thomas Anderson now lives, with the Office Houses and Garden very convenient, are to be sett for a Term of Years, from May 1739, BY THOMAS BANKS. Last Saturday embark’d on board the Dublin Yatch for Chester, the Right Hon. the lord Viscount Duncannon, Lord and Lady Charlemont, Sir Thomas Taylor, Bart. Charles Gardiner, Esq; and several other Persons of Distinction. On the 11th the King declared the Marriage, between Louisa-Elizabeth, the First Princess of France, (who will be but 12 Years old in September next when she is to set out for Spain) and Don Philip, the Second Infant of Spain, Grand Prior of Malta, in the Kingdom of Castile and Leon, and Admiral of Spain (who is 19 on the 4th of next Month;) and between the 2d Princess Anna Henrietta, her Twin Sister, and the King of Sardinia’s eldest Son, who in June next will be 13 Years of Age. And it is not doubted but another Marriage will also soon be declared between the Dauphin and Mary Theresia, the Infant of Spain, of whom the former will be but ten Years old next September, and the latter 13 in June next. The Marquis de la Mina having been vested by the Catholick King with the Character of his Ambassador Extraordinary, on account of the first mentioned Marriage, has been with his Lady, admitted to the Honour of kissing the Princess’s Hand; and upon the same Occasion this Court has sent Credentials to the Count de lar Marck, vetting him with the same Character.